Have Credit Unions Hit An Interactive Teller Tipping Point? Suncoast Credit Union has plans to retrofit its teller line and drive-thru lanes at all 61 of its branches over the next three years. It was little more than five years ago that interactive teller machines (ITM) — a next-generation ATM with two-way audio/video screens connected to remote tellers — made a splash in the financial services space, and financial institutions have been testing the waters at branches across the country ever since. Now, two large Florida credit unions are taking the plunge. Both GTE Financial ($1.8B, Tampa, FL) and Suncoast Credit Union ($7.6B, Tampa, FL) have announced plans to retrofit a total of 83 branches with ITMs staffed by centralized teller operations. GTE Financial entered the ITM market in late 2013 when it introduced GTE OnScreen machines in its downtown Tampa and Centro Ybor locations. GTE Financial expects to complete the rollout to all 22 branches in the next three years. Suncoast Credit Union launched its first two ITMs this spring and in June opened its Sebring branch with all ITMs staffed by member advocates instead of tellers. 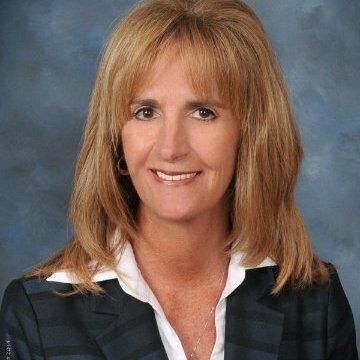 Sheri Eaton, senior vice president of service center operations, says Suncoast plans to retrofit its entire branch network — 61 locations in all — over the next two to three years. According to the manufacturer of the NCR interactive teller, the Suncoast installation will be the largest in the credit union industry to date. Not only does this represent a major transformation for Suncoast, but it also is a sign the credit union industry could be reaching a tipping point for ITM adoption. Suncoast Credit Union and GTE Financial use NCR for their ITM technology. Find your next solution in the Callahan & Associates, online Buyer's Guide. But because of the cost, time, and operational changes associated with implementing ITMs, credit unions must make decisions about adopting the technology years in advance. Innovators — A small number of firms that pilot the technology and accept higher levels of risk in exchange for immediate market differentiation. Early Adopters — Players that are willing to tolerate some risk to gain market advantage. Mainstreamers — Pragmatic thinkers that look for trusted references and documented benefits before making a buying decision. This is the largest group. Late Majority & Laggards. — Conservative institutions that are skeptical of full-scale transformation. Today, interactive teller machine vendors say the technology offers several benefits. According to Updike, these include new branch opportunities and extended hours at existing locations — which can bolster a credit union’s return on investment. At Suncoast, Eaton says the primary drivers behind the credit union’s decision to revamp its branches were service efficiency, shorter wait times, and extended hours. 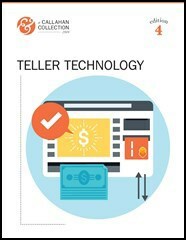 "This is a different machine and a different time,” says one reader of CreditUnions.com in regard to evolving teller technology. Check out this Callahan Collection to learn about lasting objections to ITMs and how to overcome them, from hiring to deploying to benchmarking and more. ITMs can handle most routine transactions, including cash deposits, withdrawals, share-to-share transfers, loan payments, and check deposits. And branch staff is on hand for more complicated transactions. One of the most visible changes for Suncoast will be extended hours. Currently, its drive-thru hours of operation are 8 a.m. to 6 p.m. Monday through Friday, and its lobby hours are 8:30 a.m. to 5 p.m. Monday through Thursday, 8:30 to 6 on Friday. With ITMs, the credit union expects to extend hours to 7 a.m. to 8 p.m. during the week and 8 a.m. to 1 p.m. on Saturdays for teller transactions. Historically, Suncoast required 3,500 square feet for a location, but the ITM-based branches will need only approximately 2,500 square feet. And from a staffing standpoint, Eaton says the credit union expects to have one teller at its central office for every two machines in the branches. “As we become more efficient with the system, it could possibly be one teller to three machines,” she adds. Suncoast, however, isn’t planning to lay off staff in the branches as the new system comes online. Although branches will be overstaffed initially, attrition will reduce the staff size. Make sense of deposit data for individual branches, institutions, and entire markets. With BranchAnalyzer, the ability to make smart tweaks to your branching strategy is just a click away. Learn more. Suncoast introduced its first ITM in April at a walk-up mall location in the fast-growing Tampa suburb of Wesley Chapel. The branch employs four people, including the branch manager, compared with an average of six employees at its other branches. Suncoast is also piloting a new lobby tracker system that uses an iPad for members to electronically sign in for customer service assistance. If successful, Eaton says, it could replace traditional sign-up sheets in other branches. “Our members like privacy, so when someone signs in under this new system, the next person in line won’t know who signed in or what services they’re interested in,” she adds. In June, Suncoast opened its first all-ITM location in the central Florida city of Sebring. So far, the credit union has gone with a relatively soft launch of its ITMs, posting a Q&A on its website and announcing the new machines across its social media properties. The rollout includes several short videos introducing the machines and featuring interviews with two fresh-faced video tellers speaking both English and Spanish. For members concerned about privacy or access for deaf members, the machines offer greater privacy than standing in front of a teller counter, and they include a text chatting option with common chat phrases for deaf members or for those seeking more privacy. “The point is having a better member experience,” Eaton says.